Welcome to the True Grit Café. 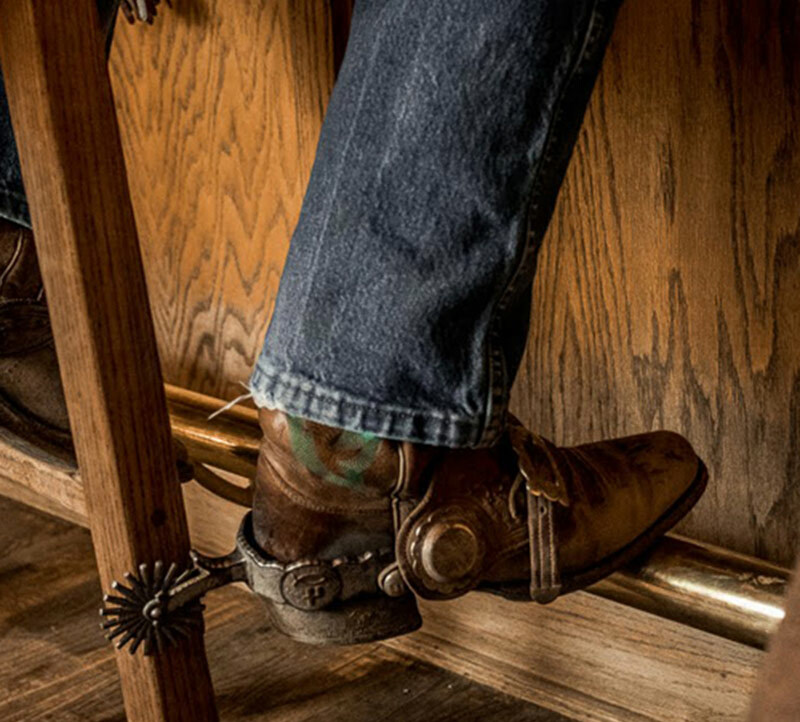 The True Grit Cafe, where True History meets True Comfort. 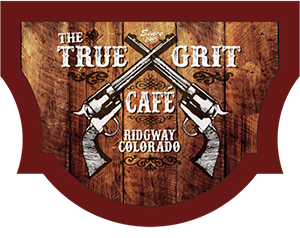 Established in 1985, The True Grit Cafe is a leading restaurant on the Western Slope of Colorado known as a premier “Ranch-to-Fork” eatery. From burgers to steak, our meat is fresh and local providing original comfort food with a fresh flair. Those visiting our area love to take advantage of our history within the restaurant – from John Wayne memorabilia to our local hunter’s mounts; but most just like the comfort of being able to lean back and relax with one our specialty drinks with a view of the San Juan’s from the balcony deck and the most juicy, cooked-to-order steak. 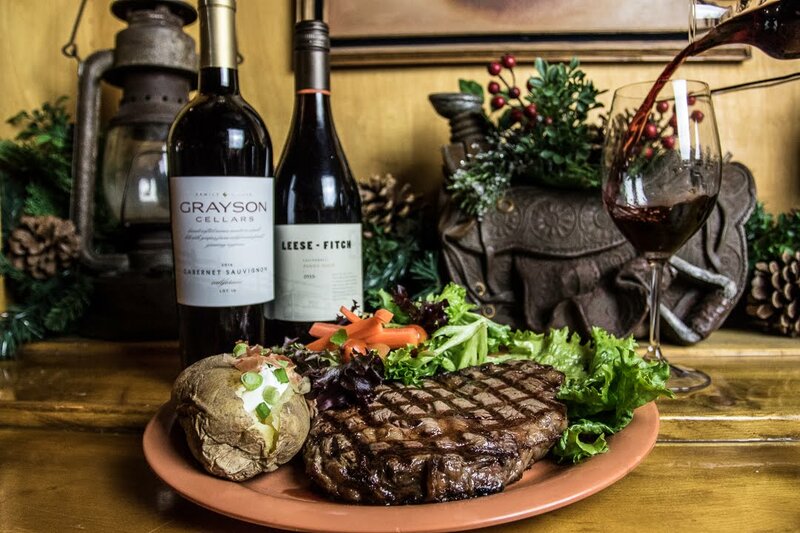 The locals love gathering around The True Grit Cafe bar where they can catch up, relax, and enjoy comfort food like mom use to make; from a juicy steak, to burgers, or seafood tacos and chicken fried steak. 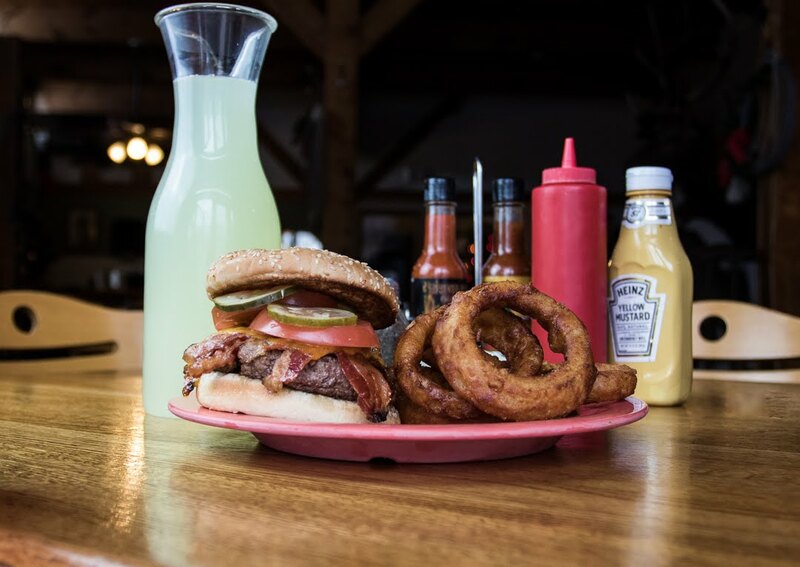 No matter where you are from; whether you’re passing through, staying the week, or calling Ouray County your home, the True Grit Cafe family is waiting to serve you your next great meal. The True Grit Cafe – True History, True Community, True Comfort. 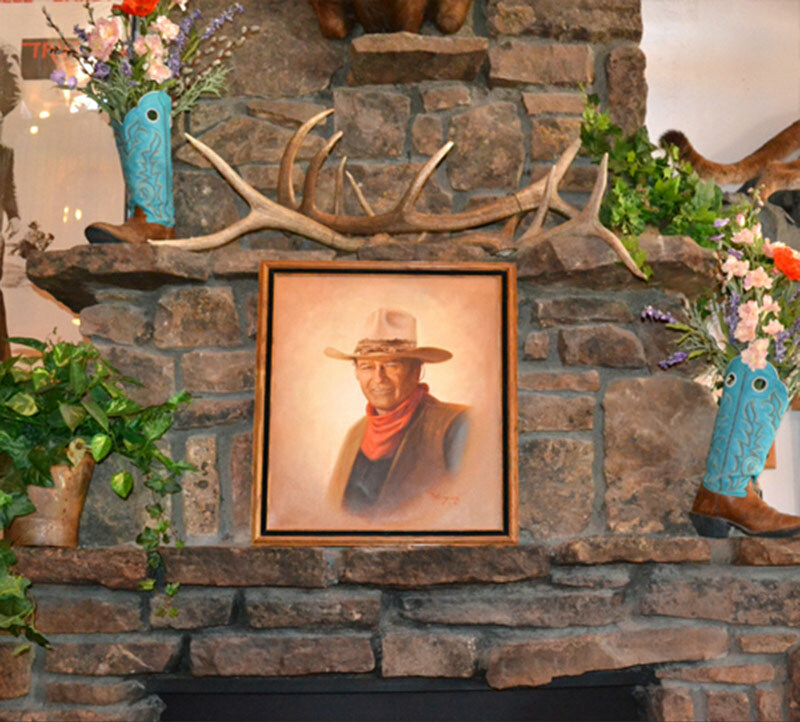 The True Grit Café was built to honor the filming of the academy award winning movie “True Grit” starring John Wayne. Come sit on the deck and look out at the beautiful background you’ll see throughout the movie. Oh, and you’ll see a lot of pictures of the great star’s film legacy all around.. The True Grit Cafe family is about personal service to our customers. We are also about serving quality food and beverages. We offer hand-cut, all natural Sirloins and Ribeye Steaks! We serve over 5,300 Chicken Fried Steaks Annually! We serve more than 20,000 Hand-Pattied Burgers Annually!